My last podcast/blog identified areas in category management that need to change, driven by developing trends in the retail industry, the Shopper, their path to purchase, and more complex data and technology. This week I talk more about how Shopper influence and the Omni-Channel are changing, and the implications that each has on category management. 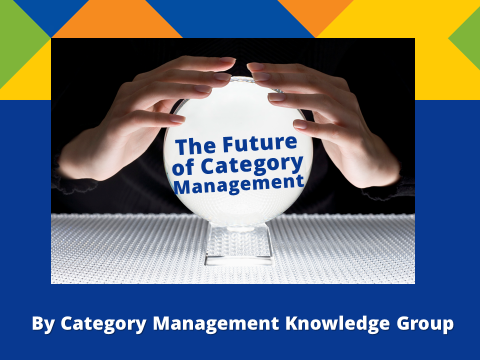 So what’s the Future of Category Management? What needs to change? “Haves” vs “Have Nots”. In many regions of the world, Consumers and Shoppers are splitting into those with more of the wealth and those without, creating an interesting and conflicting retail dynamic of Upscale/Gourmet and Low-End/Cheap Retailers (for example, Whole Foods vs. Aldi). Ethnic Shoppers. Unique holidays, favorite foods and cultural differences – Retailers need to be better informed on all of these, which often vary across different regions and stores. Retailers then need to understand key shopping behaviors, favorite products and major holidays for some of their most important ethnic shopper groups. So how do we deal with the changing Shopper and Diverse Shopper? Retailers and Manufacturers need to focus more strategically on the Shopper – beyond an “Average Shopper” that doesn’t exist and never will. But going all the way down to understanding Shopper at store level makes the tracking of changes unmanageable. The opportunity is for Retailers to move to more Advanced Retail Store Clustering. What do Retailers do with these new store clusters that they develop? Once Retailers have defined their store clusters based on the most important store and Shopper attributes, they can create measures for each cluster, and then develop corrective or protective strategies around each of the tactics, including Pricing, Promotion, Product Placement and Product Assortment. The value of tracking Key Performance Indicators (or KPIs) by store cluster is the ability to apply different performance goals to different store cluster types. One size does not fit all! Once KPIs are established by store cluster, Retailers need to determine how to market to each cluster differently. There are many ways to influence Shoppers at the shelf, which is what Shopper Insights are all about – this includes product assortment, pricing, promotion, in-store / Shopper marketing, shelf allocation and layout, and Consumer surveys, to name a few. Is there anything else changing with today’s Shopper? The Shopper is ultimately “giving in” by providing more private information about themselves because the positive payoffs are significant (time savings, convenience, or rewards programs, etc.). In other words, personalization is the key to Shopper satisfaction. Think about how much data we are continuously providing – Doug Osborne from the Retail Prophet quoted that 75% of all digital data is created by consumers. For example, I have “given in”. I’ve got my phone set up to unlock the home screen from my iPhone. I have banking capabilities on my phone. And I’m perfectly comfortable with scanning my iris at the airport to speed past the long line at US Customs and Immigration. Time and convenience trump some of my concerns over too much of my information being released through these shortcuts. Shoppers have more access to information than ever before and with the accelerating adoption of mobile, digital commerce is poised to explode, bringing shopping into the palms of Consumers’ hands around the world. E-Commerce continues to grow at impressive rates around the world, starting with companies like Amazon and “online sales only” Retailers. How have these Shopper changes affected the retail shopping environment? Today’s Shopper has become more discerning and discriminatory due to many factors I’ve already talked, including changes in lifestyle, demographics, income, and increased constraints on their shopping time. Shoppers have an incredible number of choices related to how, when and where to shop both in physical stores and online retail environments. The result? The Omni-Channel shopping environment, where consumers want to use all channels simultaneously, and Retailers using an omni-channel approach need to track activity across all channels. Why is Omni-Channel so important for Retailers and Manufacturers to consider? As online shopping continues to grow, a keen understanding of the tactics and their relevance across channels is critical. For example, direct mail and newspaper circulars are playing a diminished role in retail marketing. There are increased assortment offerings in the online space, and shelf space becomes the online store. Pricing also becomes transparent, meaning that Retailers can’t play with pricing in different parts of their channels. All of these trends will strain the traditional Retailer’s economic model with challenges to both the top and bottom lines. Gross margins will come under pressure from price transparency – in other words, Retailers will need to have the same pricing in-store as online to remain competitive. There will be a reduced share of trade spending from Manufacturers. What can you do about inevitable changes in Shopper and the Omni-Channel? First, embrace the Shopper and Category company-wide. Second, improve Retailer/Manufacturer relationships and plan longer term. Underpinning both actions is the ability for organizations to have sharper use of data and analytics to drive insights that drive their day-to-day business decisions. Develop common skills across your multi-functional teams that will create a solid foundation that will prepare your team for the future with category management training. The Omni-Channel Shopper is here to stay – at least for awhile, as we continue to see a continual channel evolution. Retailers and Manufacturers must work together to understand different Shopper needs and behaviors by mission across channels; and how to influence their shoppers and their behavior by communicating at relevant touchpoints along the path to purchase.